Refills your prescriptions fast and easy with our new online refills section. Send your request now. With the easy and step by step form, you can easily transfer your prescription for any location. The health news feeds are updated instantly with updated news and articles. Try it now. Specialty Pharmacy specializes in treatment of rare and/or chronic illnesses, conditions. Our goal at Riley’s is to provide you with fast, friendly and professional service for all your prescription, prescription compounding, home medical equipment and total body wellness needs. As the only independent, family-owned pharmacy serving the Lexington and surrounding areas since 1924, we have developed a reputation for providing service beyond the commonplace. Our pharmacists and staff invite you to experience and expect excellent service and competitive prices. We will transfer your current prescriptions from any pharmacy or contact your physician’s office for a new prescription. 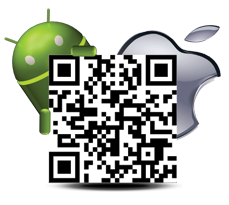 We offer many services so please let us know how we can best serve you. We treat you special because you are! 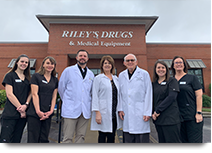 The staff at Riley’s Drugs & Riley’s Vital Care simply connect with you like no other pharmacy. Our caring, confident, professional staff goes the extra mile when it comes to customer care. Riley’s Drugs uses up-to-date information and technology systems to improve efficiency and provide quality products and services.